GROHE Sense and GROHE Sense Guard are GROHE’s latest intelligent solutions for the smart home. The GROHE Sense smart water sensor monitors room temperature and humidity, detects water retention and gives warnings if the levels become too high or too low. GROHE Sense Guard even takes it one step further: Installed directly on the main water line, it can automatically stop the water supply if, for example, a leak has been detected. GROHE Sense and GROHE Sense Guard both use ground-breaking smart technology and can be monitored and controlled by using the brand-new GROHE ONDUS App. GROHE Sense and GROHE Sense Guard have been created to address the issue of water damages in households being perceived as an underestimated risk, as a survey conducted by GROHE earlier this year shows. Half of the households in Europe have experienced water damages at least once – which affected much more households than participants suspected. And as a report by the German Insurance Association has shown previously, 93% of the cases could have been prevented. As GROHE always wants to ensure that customers can enjoy their water experience, developing intelligent devices that make it possible to detect a water leak and then automatically stop the flow of water has been a natural next step in the company’s product innovation. GROHE Sense is a smart water sensor. Simply placed on the floor it can detect water retention. When the base of the sensor gets in contact with water, for example due to a leak or water damage, GROHE Sense will give an alert. The water sensor also measures the room temperature and humidity. If several of the smart sensors are installed simultaneously across different rooms or at critical spots, the fastest possible detection of leaks can be achieved. This makes it possible for the homeowner to immediately react and prevent worse. 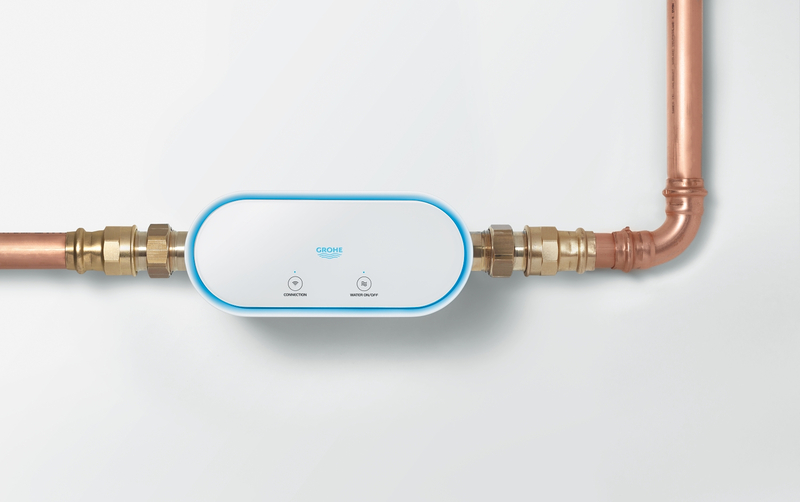 Being attached and installed directly at the central water line of the house by a professional installer, GROHE Sense Guard serves as a smart control unit. It measures the system temperature to indicate a risk of frost or detects leaks and shuts off the water supply automatically. A micro leak test is conducted once every 24 hours where even the smallest leaks in the cold-water pipes can be detected. Even leaving a tap open will not remain unnoticed anymore! Additionally, GROHE Sense Guard tracks water consumption and continually monitors water flow, water pressure and system temperature. Users can always check their individual water consumption at any time. 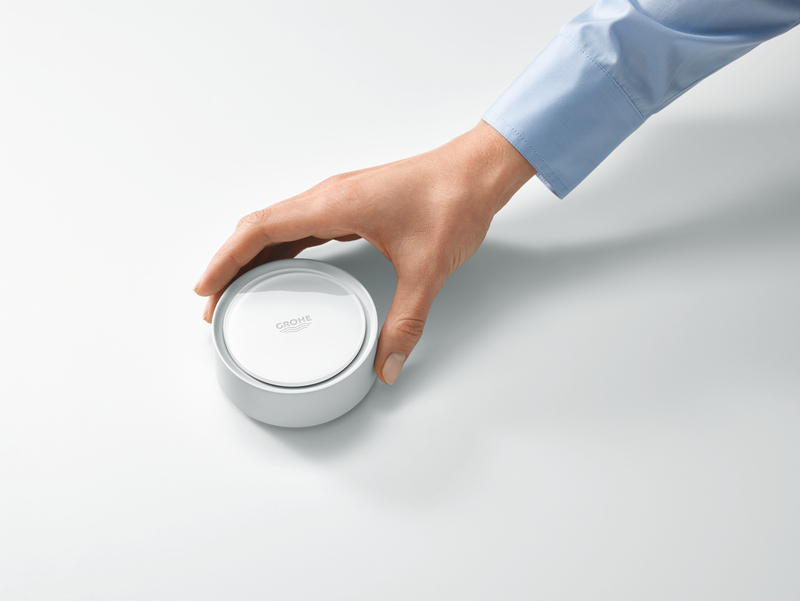 In combination with GROHE Sense, the warning system is complete, as it also allows direct monitoring of potentially increasing humidity at home. 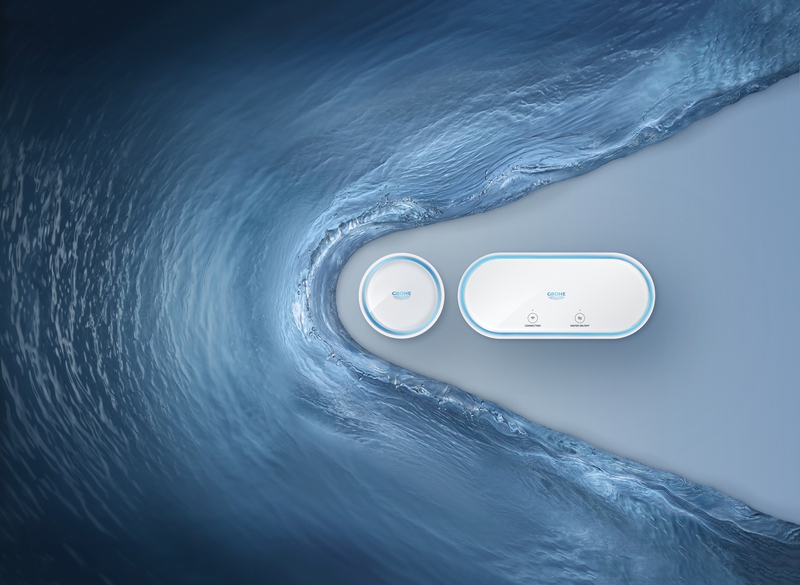 The innovative GROHE Sense water security system is based on industry standard wireless LAN technology, controlled through the GROHE ONDUS App – the centrepiece of the GROHE Sense water security system. It offers the highest level of water safety and allows to continually monitor and control GROHE Sense and GROHE Sense Guard – wherever and at any time. Users receive a notification on their smartphone if connected to the Internet when there is a water problem at home. The water supply can be shut off using the app to prevent more damage. Additionally, the app has a feature that allows users to track their domestic water consumption. “Our aim is to be a source of enjoyment. Water- and waterpipe damages are the most frequent damages in households. When water damage occurs, you want things fixed right away, but it can take weeks if not months before everything is repaired. Therefore, prevention is the best remedy. 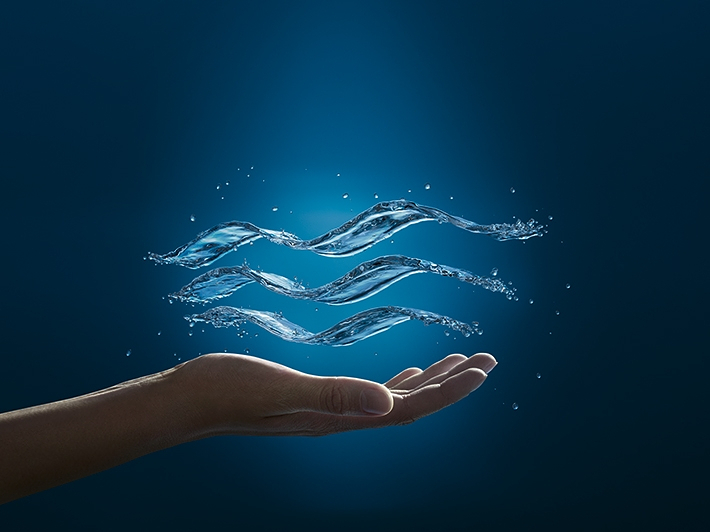 That is why we developed the GROHE water security system: Enjoy the day – enjoy peace of mind, while GROHE Sense and Sense Guard take care of your home,” says Michael Rauterkus, CEO GROHE AG.